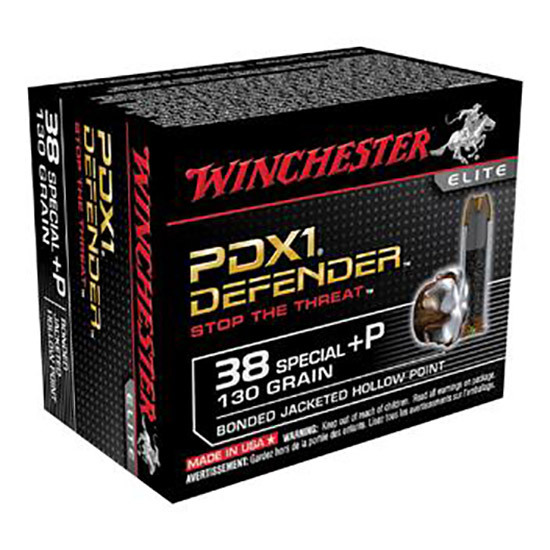 Winchester Elite PDX1 Defender which was chosen by the FBI as their primary service round features threat stopping technology. It uses a proprietary bonding process for its notched jacket hollow point personal defense expandable PDX rounds. PDX1 is engineered to maximize terminal ballistics as defined by the demanding FBI test protocol which simulates realworld threats. Elite PDX1 Defender is offered in multiple personal defense calibers.